With the Dolosys Paintracker SEP System we offer the first simple and easy-to-operate device for measuring somatosensory evoked potentials (SSEPs) for prognostic assessment of comatose patients who suffered hypoxic brain damage, e.g., after a cardiovascular arrest. Severe neurological disorders due to hypoxic-ischemic brain damage are still a common consequence of cardiovascular arrest, despite successful reanimation with restoration of spontaneous blood circulation. A certain and earliest possible prognosis of an unfavorable outcome after hypoxic brain damage is crucially important for the patient, his relatives, and the entire attending team. Due to the very low error rate in major studies, derivation of the N20 wave is the only non-clinical procedure expressly recommended in the joint Advisory Statement of the European Society of Intensive Care Medicine (ESICM) and the European Resuscitation Council (ERC) (Recommendation Grade A). Derivation of the median SSEPs has been hitheto acquired from complex neuro-monitoring systems from neurophysiolical departments, which was often difficult in terms of availability and costs in practice. Due to its compact design and relatively low operating costs, our SEP system can be steadily available at intensive care stations. It is easy to operate even for physicians of non-neurological specializations and its functioning is specially adjusted for the purposes of SSEPs. 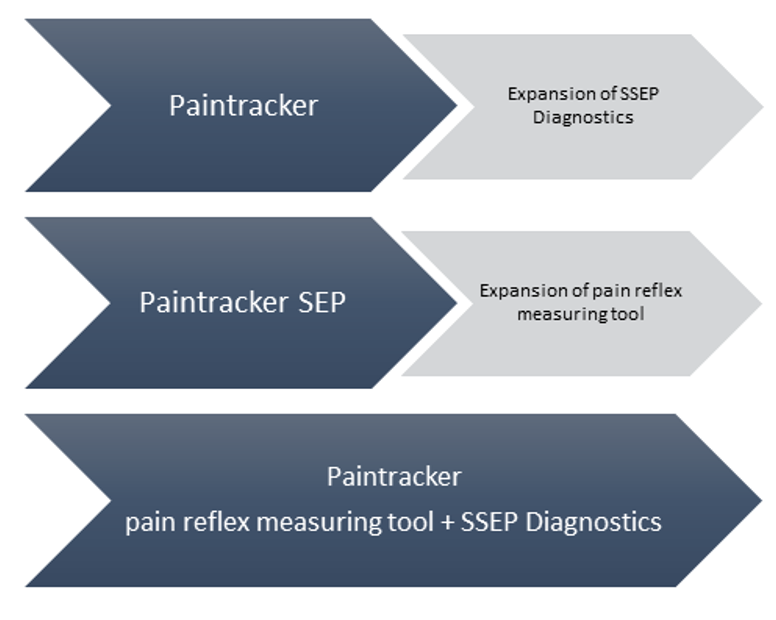 Depending on your requirements, we offer the SEP meter as a compact stand-alone version or as an expanded pain reflex threshold measuring with Dolosys Paintracker. Both applications represent a considerable added value to intensive care stations and their combination provides for an optimal time-effective utilization of the device and your investment. Regardless which variant you opt for, the acquisition of the device will ensure the option of upgrading to a full-scope of functionality at a later point in time. 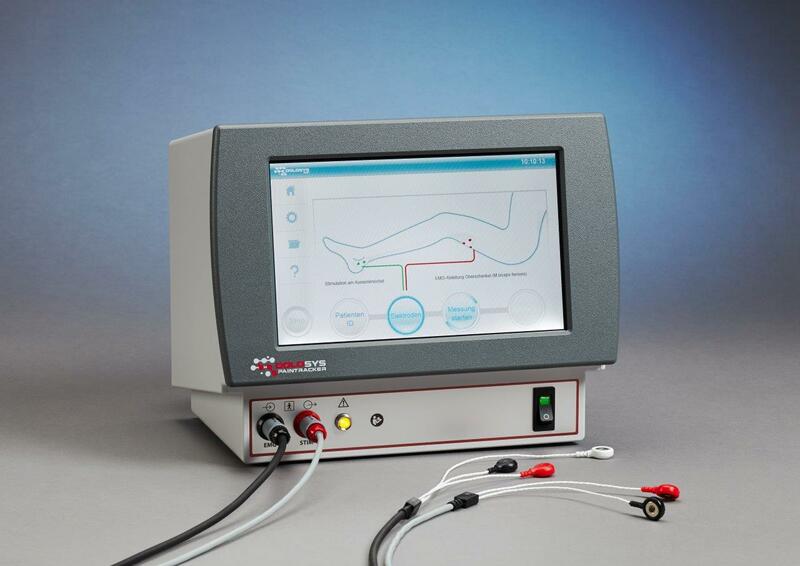 Dolosys provides a small stimulation/recording unit that guides the user step by step through the measurement procedures. High reporting value. Simple. Flexible.